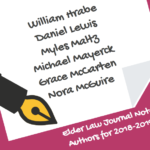 The Elder Law Journal Volume 26, Number 1 is here! Use the links provided below to navigate the online version of our newest issue. The Leftover: Where Do Elderly Prisoners Go When Released? 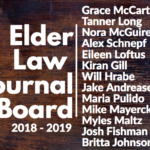 Previous post: Welcome to our Newest Members!